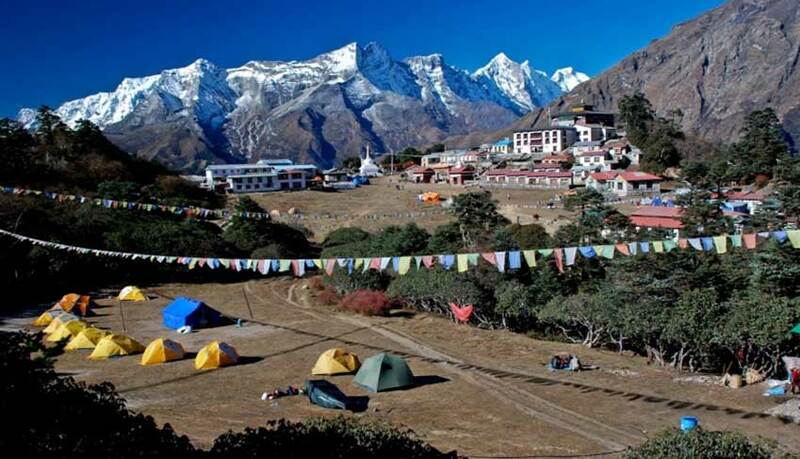 Everest View Trek is relatively easy compared to some other treks lies in the Everest region. This takes high up to the Tengboche Monastery (3860 m). This is a short trek but provide the best scenic view of the world highest peaks, including Mount Everest, Lhotse, Nuptse, Thamserku, Ama Dablam and other many snowy peaks. Starting flight from Kathmandu to Lukla, the trail passes through important trade centers of Khumbu region; Namchebazar, Thyangboche (Famous for its monastery) etc. Here you can see the good settlement of Sherpas people. Best suited trek for those who have no longer time to go the Base Camp and for those who need continuous acclimatization with the practice of short trekking routes before going to the longer height. Day 10: Departure at any time or for more travel arrangement Contact us. Panorama view of Mt. Everest, Ama Dablam, Lhotse, Kantega, Thamserku etc. Scenic flight to Lukla from Kathmandu. Extraordinary people of Namche Bazaar & its Saturday market. 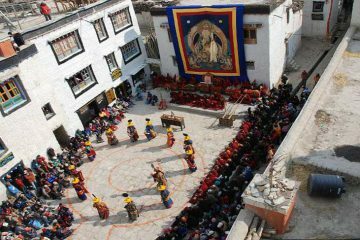 The largest religious foundation of Khumbu region, Tengboche Monastery. 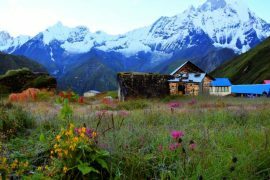 The mixture of religious, authentic cultural and natural charm of the Everest territory of Nepal. Have an influence of Tibetan Buddhist tradition and its actual similarity can be seen on the prayer flags, chorten and Gompa everywhere along the trial. The astonishments of swanky sceneries and wild mountain range. Incredible scenes of streams, hikes over a swing bridge and come across unique inspect of Plants and Animals. Arrival in Kathmandu (1400 m). On your arrival at Airport in Nepal’s capital. A representative from the workplace or office will come to pick you and transfer to the Hotel. In the later afternoon, your trekking guide will come for a briefing about the trip provisions. For an instance; time, particulars and trek planning. Everest View Trek- Fly Lukla (2800 m, 25 min) - Trek to Phakding (2600 m, 5 hr). You’ll be moved to KTM Domestic Airport terminal for the short outstanding 25 min flight to Tenzing-Hillary Airport at Lukla. After arriving, you start your trek. The mountain flight into Lukla is incredible and also finding a motivating. From then on, you’ll start up heading through pine and cedar woods across the Dudh Koshi to Phakding. There you may experience the initial yak trains conveying trekking hardware supplies towards base camp. Additionally, it is possible to find out musk deer, Himalayan Thar. And when you sit timidly around the river bank may see water rascals as well. Everest View Trek – Phakding to Namche Bazaar (3450 m, 5 hr). 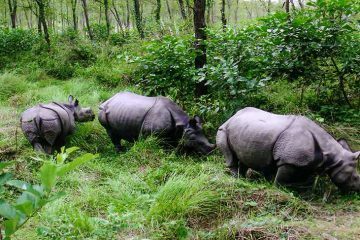 Today, you will head up through the fir, woodlands of pine, and rhododendron trees over the banks of Dudh Koshi. After the overpassing wonderful river, you will cross the motivating suspension bridge that laden with prayer flags. Continue your pace, you’ll reach the confluence of Dudh Koshi and Bhote Koshi streams and enter the Sagarmatha National Park. Afterward, the path climbs steeply with stunning perspectives of Mt. Everest. Look closely at the Lhotse-Nuptse ridge and gently trekking brings you one to the Namche Bazar. The best towns across the entire Everest trekking trail. Rest day (Visit Thame Valley). Today, the pleasing rest and adaptation day time at Namche Bazaar. The commanding capital in the area. It had been the organizing point for exchanging campaigns to Tibet. Its particular Saturday business sector remains an important occasion. There the merchants come from the rural towns for a week leave. Another, an acclimatization day takes into consideration trip to Thame. The valley has unpredictably cut Mani stones stamp the right way. There is a beautiful Gomba around the slope sitting higher than the valley. Everest View Trek – Namche Bazaar to Tengboche (3860 m, 6 hr). Now again today, the path is incredibly beautiful. You’ll follow the gradual trail with few ups and downs approximately three hours. The path is pretty easy to stroll from Namche to Phunki Tenga. Overlook magnificent view of the truly great Himalaya Everest (8848 m), Ama Dablam (6812 m), Thamserku (6623 m) and Lhotse (8516 m). Mani walls, woods, rhododendron forests, chorten, and suspension bridges through the river made this a pleasant walk. You then will track by way of a three-hour ascent towards Tengboche. In a place, you spend your night. 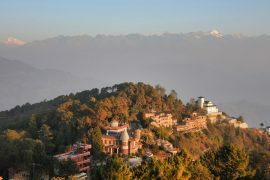 The morning view from Tengboche is legitimately viewed as a standout amongst the most eminent on the planet. Tengboche Gompa, the social and religious focus of Khumbu, established in 1915. 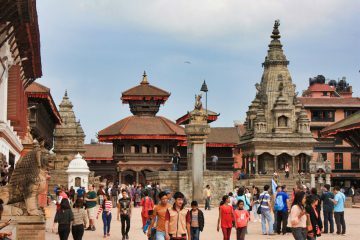 It has been destroyed and reconstructed twice as the result of earthquake and fire. Everest View Trek - Tengboche to Namche Bazaar (3450 m, 5 hr). Rejoin the trail through several bends and lookout for wildlife such as mountain goats, snow leopards, colorful pheasants, etc. Then you will reach the army camp at Namche Bazaar. From this point, take a long last look and take a picture back to Lhotse, the tip of Everest and Tengboche. And relax in Lodge. Everest View Trek – Namche Bazaar to Phakding (2600 m, 4 hr). You will retrace your steps to Phakding. 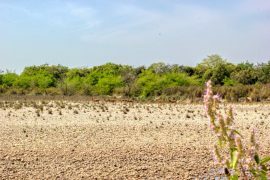 Enjoy the beautiful surroundings and watch the numerous birds and animal species that regularly seen along the trail. Everest View Trek – Phakding to Lukla where trek began (2800 m, 4 hr). Finally, you will return to Lukla. From where you started your trek. Fly back to Kathmandu airport terminal and transfer to the Hotel. Leave for your country whenever you want or you can also extend your adventure. To learn more, Call or E-mail us. 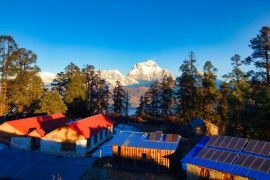 In Everest View Trek – What are Included? 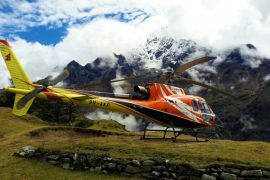 What are not Included In Everest View Trek? Payments caused by personal nature like doing shopping, tipping or tips etc. Related expenditures due to unexpected circumstances such as Emergency Fund, Entrance Fees. Expenditures like the budget for drinks, cigars, laundry, the internet so on. Tips for Guide in addition to Porters.